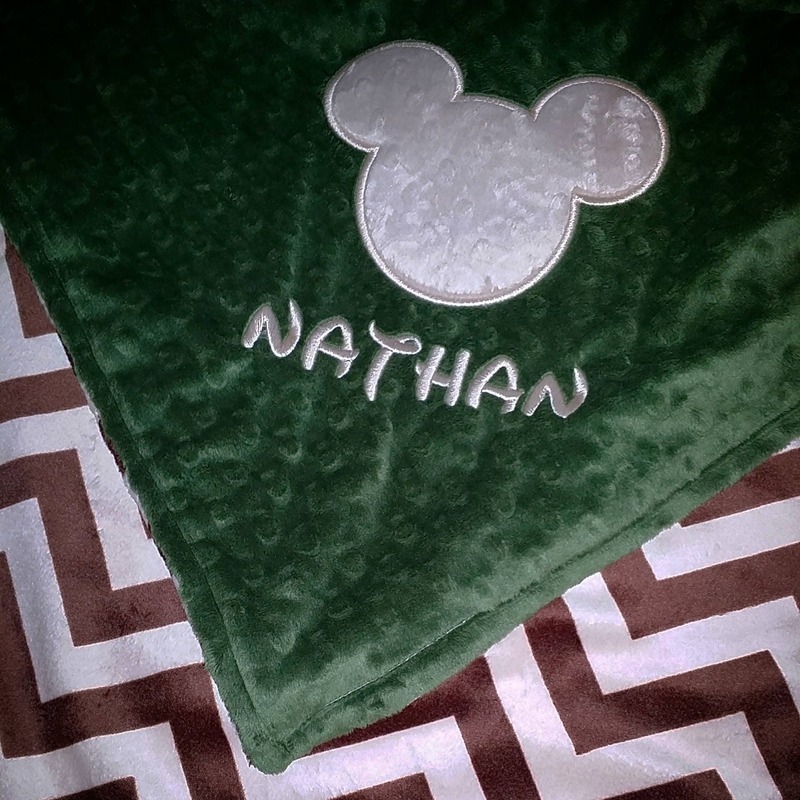 Minnie Mouse, Mickey Mouse, Minky Baby Blanket. You choose fabrics. 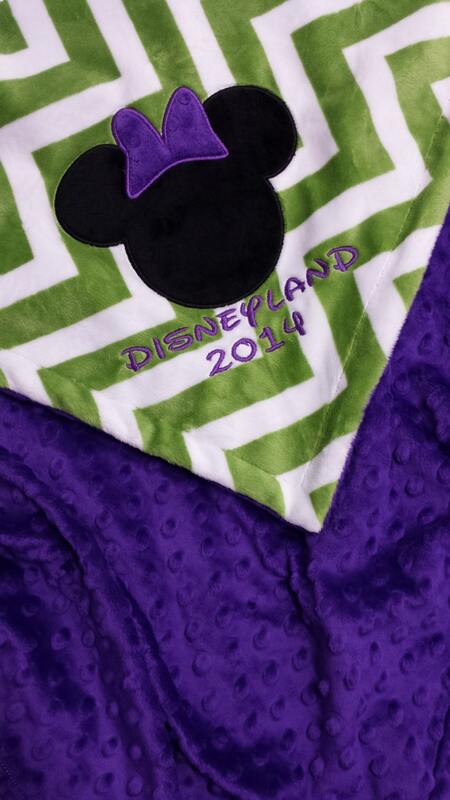 This listing is for our "receiving" size blanket. It measures approx 30"x36". 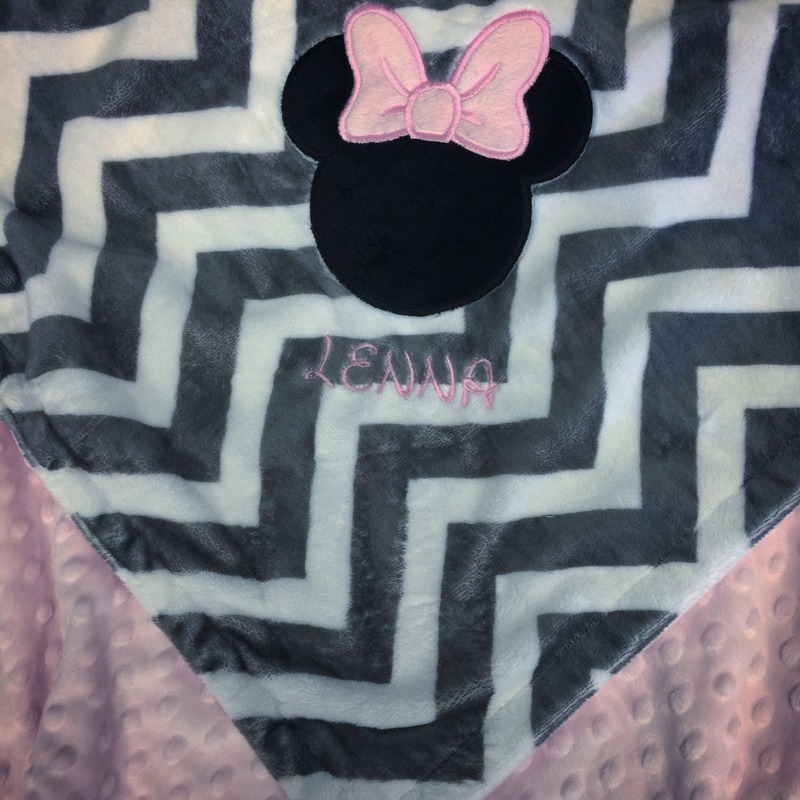 This listing also includes you choice of the embroidered minky minnie head (or mickey for the fellas) and a name or saying of your choice. 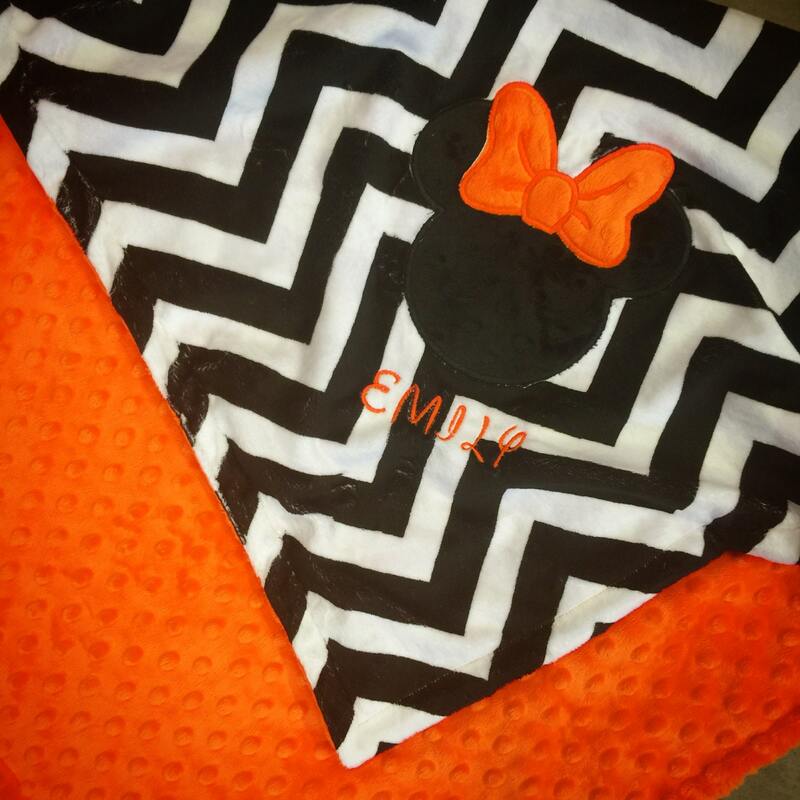 We can embroider the minky head and bow color of your choice on ANY of my minky fabrics available.Please let me know what color blanket you are looking for and I can send examples. There are just too many fabrics to list. 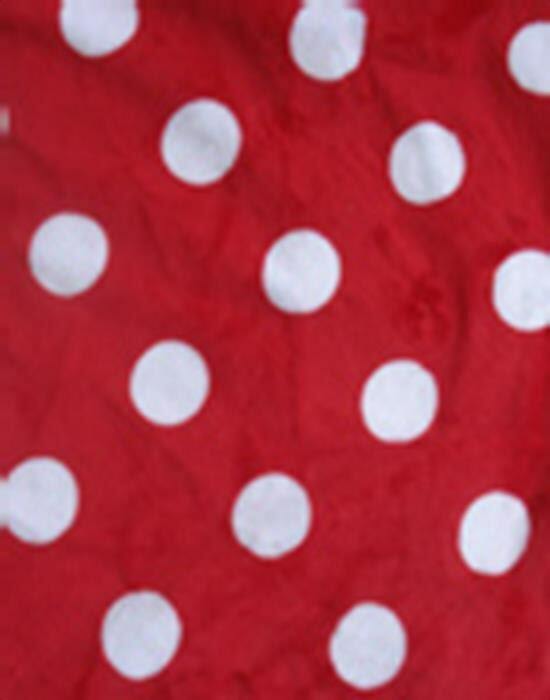 (ex: red and white polka dot minky, pirate minky, pink and white polka dot minky. Please contact me for your custom order!